Formula is not the opposite of gritty; it's just.. 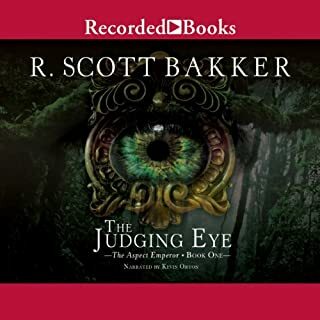 The much-anticipated third installment of R. Scott Bakker's acclaimed series, The Aspect-Emperor. 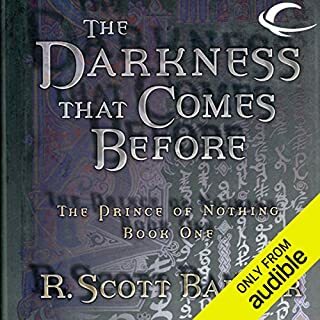 Praised by fans and critics worldwide, R. Scott Bakker has become one of the most celebrated voices in fantasy literature. 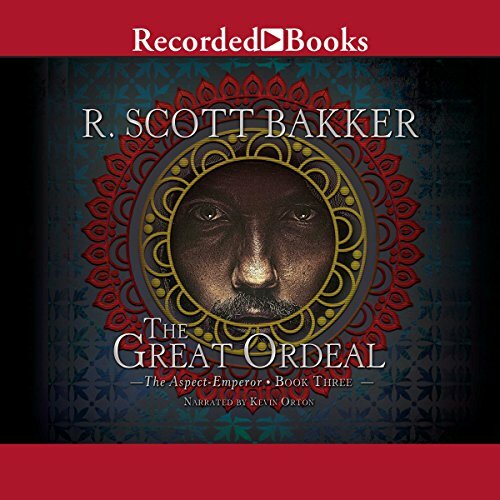 With The Great Ordeal, Bakker presents the long-anticipated third volume of The Aspect-Emperor, a series that stands with the finest in the genre for its grandiose scope, rich detail, and thrilling story. As Fanim war drums beat just outside the city, Empress Anasurimbor Esmenet searches frantically throughout the palace for her missing son, Kelmomas. Meanwhile, and many miles away, Esmenet's husband's Great Ordeal continues its epic march farther north. But in light of dwindling supplies, the Aspect-Emperor's decision to allow his men to consume the flesh of fallen Sranc could have consequences even he couldn't have foreseen. And deep in Ishual, the wizard Achamian grapples with his fear that his unspeakably long journey might be ending in emptiness, no closer to the truth than when he set out. The Aspect-Emperor series follows Bakker's Prince of Nothing saga, returning to the same world 20 years later. The Great Ordeal follows The Judging Eye and The White-Luck Warrior and delivers the first half of the conclusion to this epic story. Returning to Bakker's richly imagined universe of myth, violence, and sorcery, The Aspect-Emperor continues to set the bar for the fantasy genre, reaching new heights of intricacy and meaning. What disappointed you about The Great Ordeal? Kevin Orton's delivery is just awful. 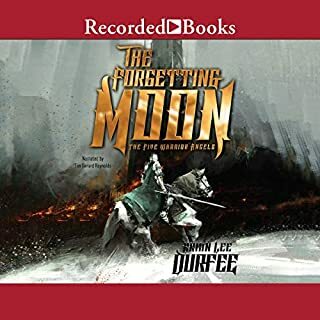 He has fallen well short of the mark David DeVries left on the original Prince of Nothing series for this entire Aspect Emperor series, but this third installment is especially bad. The pronunciations of names shifts non-stop, sometimes within the same paragraph. He often hesitates before speaking names, clearly daunted by a task he didn't do his homework for. Character voices all sound the same, he has no talent whatsoever for accents, and overall it seems like he just phoned it in. Very disappointing. The editing is also horrendous. There are many, many instances throughout the book where sentences are just cut off mid-word and picked back up with the beginning of the next sentence. I assume these are the seams between different takes/attempts, but it is jarring and just.. bad. Very amateurish. What was one of the most memorable moments of The Great Ordeal? The writing itself is beautiful, the story is memorable (the return of Cnaiur at the end, especially). Unforuntately it's hopelessly marred by the absolutely abysmal performance of the narrator. Would you be willing to try another one of Kevin Orton’s performances? I have no choice but to trudge through The Unholy Consult when it is released -- which isn't December, long after the book itself is released, for some reason. I can only hope the delay is because someone is sending Mr. Orton to some kind of narrator school where he will learn how to avoid murdering the text he's reading. Probably not, though. If TUC is anything like the last 3 books (especially this one), then I will avoid his performances like the plague. Disappointment mostly, thanks to Mr. Orton, but also hope for the eventual fate of the world Bakker has created. Please pay lots of money to David DeVries or someone else of that caliber to re-record this entire series, and let us pretend Kevin Orton never happened. 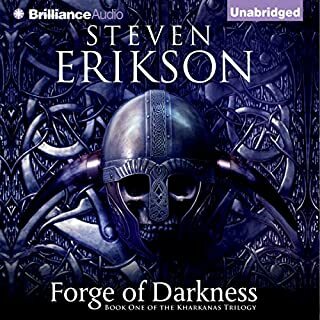 I love this series, Bakker's work is fantastic and I cannot reccommend this series enough with the caveat that it is very dark and may not appeal to everyone due to its brutality and the absence of any classically "good" characters. However, when Keven Orton took over narration from Devries (sp? ), the audiobook went downhill. Orton has a pleasant voice, but can't seem to decide how to pronounce words. For example, in the same breath he will alternately pronounce Kellhus "Kell-Hoo-s", "Kell-Us" and "Kell-Hus". It is bizzare and extremely irritating. 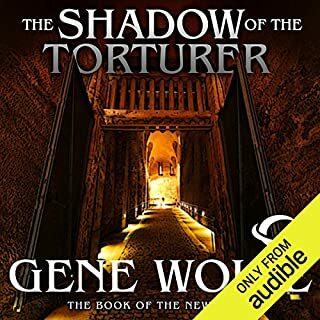 It is bad enough, though forgivable, that he chooses to pronounce words differently from the previous narrator, but he can't agree with himself in the same chapter, much less between the books he's thus far narrated. The Aspect Emperor audio books need a do-over. In this audio book the Names are not pronounced right, but overall pretty decent performance. 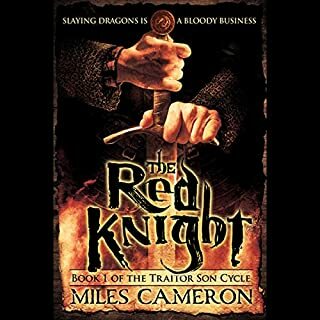 Kevin Orton is a decent narrator, not as good as David DeVries, but after two book (40+ hours) suddenly many names are being pronounced differently. Not only are they different from the other two books he read but he changes during the book. It's super frustrating. Pick a thing! I'll add my voice to the chorus and say the reading was annoying. He needs to decide how to pronounce the names. He's read two other books in the series. Take five seconds and figure it out. Bakker's series is out of this world. But this new narrator isn't even trying. Shame. Would you listen to The Great Ordeal again? Why? I think Bakker fairly demands it. This is not a book you will be able to absorb in one sitting. Sorweel's descent through Ishteribenth, the final confrontations, just everything with Dagliash... good stuff. Did Kevin Orton do a good job differentiating all the characters? How? I suppose so. He obviously has an expressive voice and can bring real drama to the characters, but his inconsistent pronunciation of names was distracting. He definitely phoned this one in, which is odd, because he's narrated other books in the series. I certainly think the book would benefit from a better narrator, someone along the quality lines of Simon Vance or Michael Page. I would not. I mean, there's not a theater one that would touch it. It's better if you read it, just because Kevin Orton cannot decide how he wants to pronounce names, sometimes within the same sentence. If you have read the others, read on. Cliffhanger finish. I will read on. Meh.